A senior hospital official says at least 20 people were killed in the hours-long siege of a Shiite Muslim mosque in the Afghan capital of Kabul. Mohammad Salim Rasouli, chief of Kabul's hospitals, said at least 50 more were wounded, many of them children. The mosque was packed with worshippers attending Friday prayers. Friday is the Muslim sabbath when worshippers usually attend prayers at the mosque. Rasouli said the death toll could rise because many of the wounded were seriously hurt. Afghan President Ashraf Ghani is condemning the attack on a Shiite mosque in the capital Kabul and calling on Islamic clerics around the world to condemn terrorism. He said the extremists have turned to attacking houses of worship because they are being defeated on the battlefield. He vowed that Afghanistan would stay united in the face of these attacks and that terrorism would be defeated. Police say the hours-long attack at a Shiite Muslim mosque in the Afghan capital Kabul has ended with all four attackers dead. Police official Mohammed Sadique Muradi said two of the attackers blew themselves up and another two were shot by Afghan Security Forces. Worshippers, wounded and dead were being evacuated from the mosque. Muradi said the death toll wasn't immediately known. Initial reports said at least two people had died, including the cleric leading the service. The Islamic State group's affiliate in Afghanistan has claimed responsibility for an attack that is underway on a Shiite mosque in Kabul. The IS-linked Aamaq news agency carried the claim on its website on Friday, while the attack in the Afghan capital was still developing. In the claim, IS says two of its fighters, seeking martyrdom, carried out the assault. It did not give further details. The attack was the latest by IS to hit the Afghan capital. Last month, the Islamic State group attacked the Iraqi Embassy in Kabul and afterward, issued a warning to all Shiites in Afghanistan, saying IS militants would attack Shiite places of worship. 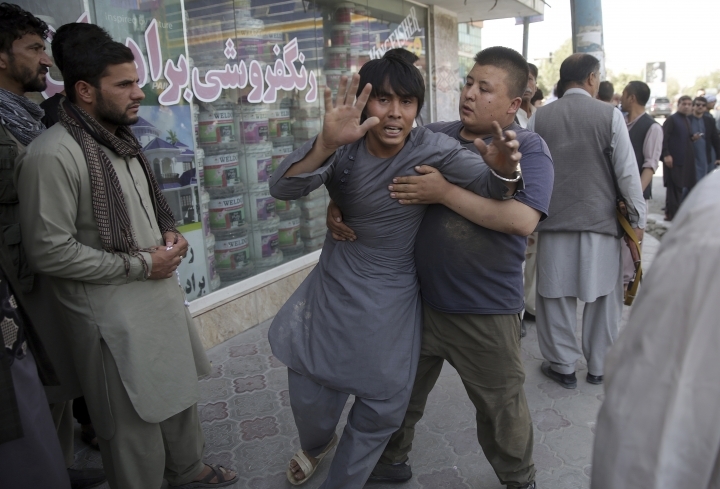 Within days of the embassy attack in Kabul, IS also took responsibility for a brutal suicide assault on a Shiite mosque in western Herat province that killed 32 people. A member of Afghanistan's Shiite clerical council said there are at least two dead in the attack that is still underway at a Shiite mosque in Kabul. 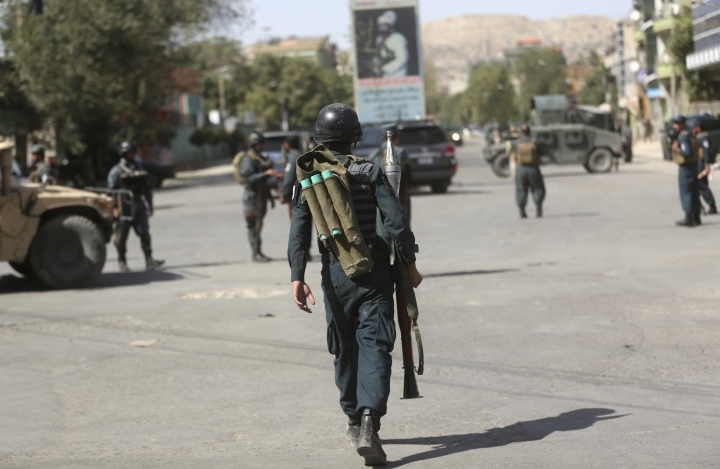 According to initial reports, the cleric who performed the prayer service has been killed, as well as a security guard outside the mosque in a northern Kabul neighborhood on Friday. Mir Hussain Nasiri says gunmen have taken over the portion of the mosque with the separate prayer areas for men and women. An Afghan official says a Shiite mosque in the capital, Kabul, has come under attack as gunmen stormed the mosque while worshippers were at prayers. The police are reporting that there are sounds of explosions and gunfire at the scene of the attack on Friday but details are sketchy. There was no immediate information on any casualties. Police official, Mohammed Jamil, says the gunmen are still inside the mosque, which was crowded with worshippers bowed in Muslim Friday prayers. The mosque is located in a northern neighborhood of Kabul. Jamil says that Afghan security forces have surrounded the mosque but are not advancing or pushing into it to prevent more casualties. An Afghan official says the Taliban have attacked a security outpost in southern Kandahar province, the insurgents former heartland, killing 4 troops. Provincial police chief's spokesman, Zia Durrani, says the security forces repulsed the Taliban attack with the help of air support from the Afghan air force. Durrani says the Friday morning attack also left seven policemen wounded. He says the Taliban sustained heavy casualties. There was no immediate comment from the Taliban. Elsewhere, provincial deputy police chief Nisar Ahmad Abdul Rahimzai says that Afghan security forces recaptured a district in eastern Paktia province from the insurgents. The summer fighting season in Afghanistan has been brutal so far this year, with relentless Taliban attacks around the country as the insurgents battle to expand their footprint.